The Massachusetts Division of Banks and the Conference of State Bank Supervisors (CSBS) jointly released a US survey today about consumer awareness of digital currencies. More than 1,000 online consumers were polled in May about their knowledge and use of virtual currencies such as Bitcoin. The results show that slightly more than half of respondents (51 percent) had heard of cryptocurrencies, although awareness varies by gender, race, income, and education levels. 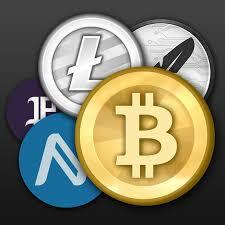 64 percent of men surveyed are aware of virtual currencies, compared to 38 percent of women. White (54 percent) and Hispanic (51 percent) Americans are more likely than African-Americans (37 percent) to be aware of digital currencies. 70 percent of respondents living in households with income more than $100,000 are aware of digital currencies, compared to 43 percent of respondents in low-income households. About two-thirds (67 percent) of college graduates are more aware of Bitcoin or another form of cryptocurrency, with remaining respondents possessing a high school diploma or less. The survey observes that consumers learn about cryptocurrencies mostly from the Internet or television. While there was awareness of cryptocurrencies, there were a limited number of respondents who said they would be willing to buy or use a digital currency. Just 3 percent of respondents said they had bought or used a digital currency. Younger respondents reported much greater willingness to buy Bitcoins than did older respondents. Among 18- to 24-year-olds, 43 percent said they were “very likely” or “somewhat likely” to buy Bitcoins, compared to just 8 percent of respondents older than 55. Among respondents 65 of older, three-quarters said they were “very unlikely” to buy Bitcoins. Hispanic and African-American consumers are more willing than white consumers to buy digital currencies, the survey found. 11 percent of those with a least $100,000 in household income said they may buy Bitcoins in the future, compared to 19 percent of those with a household income under $100,000. Overall, nearly two-thirds (65 percent) of all US consumers surveyed indicated that they were unlikely to ever buy or use cryptocurrencies. CSBS notes in a news release that consumer attitudes toward digital currencies may be influenced by concerns about whether or not digital currencies are insured, regulated, or secure. More than 65 percent of respondents said such concerns were important factors that would influence their decision to buy any digital currency.